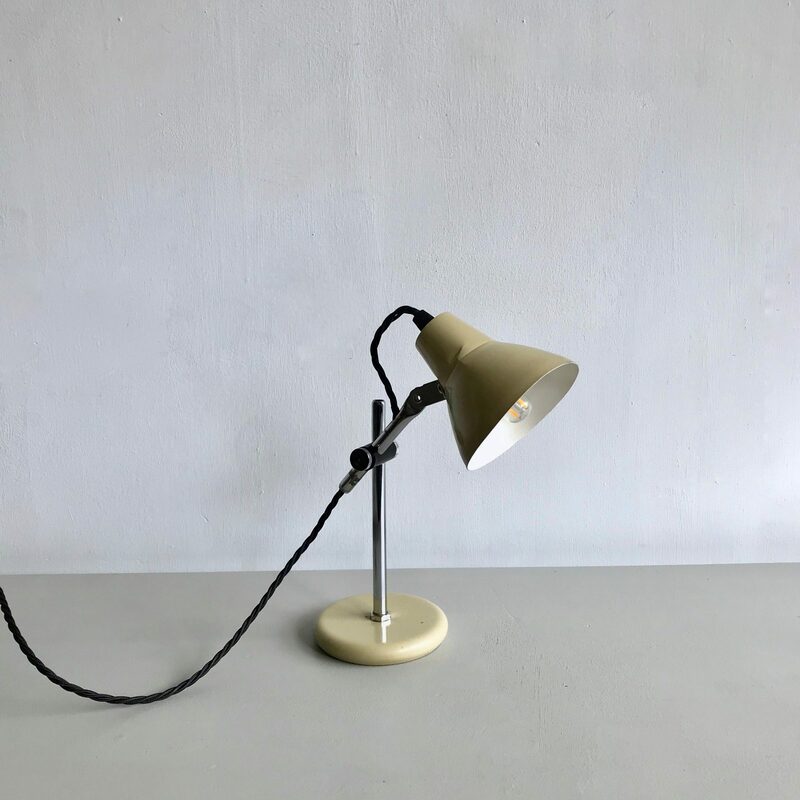 Small cream metal lamp. Central chromed stem and adjoining stem can be adjusted by turning each of the chrome screws. Rewired with a B15 lamp holder, Black braided flex and a three pin plug. Our beautiful shop is based in Stockport’s historic Old Town - not far from Manchester and only seven minutes on the train from Piccadilly.